Beauty in simplicity. It's a phrase that's been used to describe great musical performances that are unadorned and ego-free and reach the human heart. 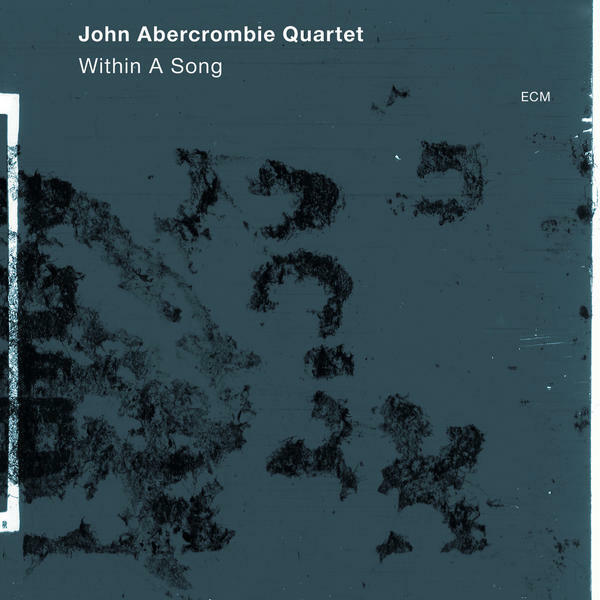 Within a Song (ECM, 2012) by John Abercrombie could easily be described in this way. It’s an album of music that specifically plays tribute to the sounds Abercrombie enjoyed while maturing as a guitarist. But rather than pay tribute to his favourite songs and musicians in a formal way – that is, as mimicry – the guitarist leads his group away from nostalgia and into the present. It’s an arrangement that works beautifully. The record opens with the standard "Where Are You?" by Jimmy McHugh. It's an appropriate choice as Abercrombie seeks to find the source of his inspiration and the muse that spoke to him in the 1960s and pulled him into jazz. Essentially, that's what this new album is about: the turbulent times in the art of jazz that reflected the social changes in the United States while uncovering new ground in the music. But it’s not a literal history – it’s impressionistic. For Abercrombie, now 67 years of age, the past is prologue and this particular album acknowledges his musical influences while advancing the art form. This is especially evident on the third track, the medley "Within a Song/Without a Song," melding one of Abercrombie's compositions with a well-known jazz standard. As the band breaks into "Without a Song" and the two compositions fuse, we hear Abercrombie's intent and sense of humour. It's a great tune that also reflects the spirit of the quartet: Joey Baron, drums; Drew Gress, bass; and guest Joe Lovano, tenor sax. "Blues Connotation" by Ornette Coleman takes on a decidedly straight-ahead form that succeeds because the band doesn’t try to overly improvise the melody. This approach is preferable to my ear because Coleman’s music has a built-in freedom. Coleman’s tunes are fundamentally blues-based anyway, with a series of chord changes that bend the music and your expectations. For Abercrombie and the quartet, this track swings because its sophistication comes from its simplicity. As introspective as this album is, the record takes on new meaning on "Interplay," written by Bill Evans. On this cut, the band uses the title as a verb and they proceed to bounce ideas off each other. The melody is there, but it’s heard as sub-text to what the group is playing. 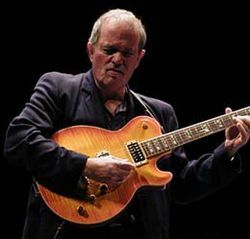 I’ve been listening to John Abercrombie for many years. His releases on ECM that debuted in 1974 are particularly strong. Within A Song is not only an exceptional chapter on his musical journey – it's also open to discovery and free of pretence.